Electonics, Projects and Ramblings – Make it, break it, hack it, mend it. 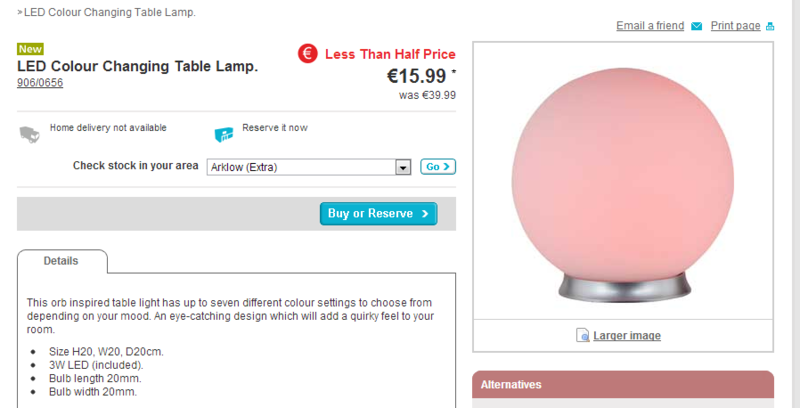 I bought one of these in Argos to see if there was anything interesting that could be one with it. It turns out that the thing is ripe for hacking if you wanted. 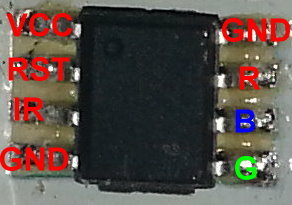 The pinout for the IC is below, the unused pin is tied to GND so i’m not sure which is the actual ground pin. If anyone has any idea what the IC is let me know. To read the IR codes it used an arduino with Ken Shirriffs IR library connected to the output of the IR receiver. The remote used the NEC protocol which is very common for these cheapo slim remote controls. 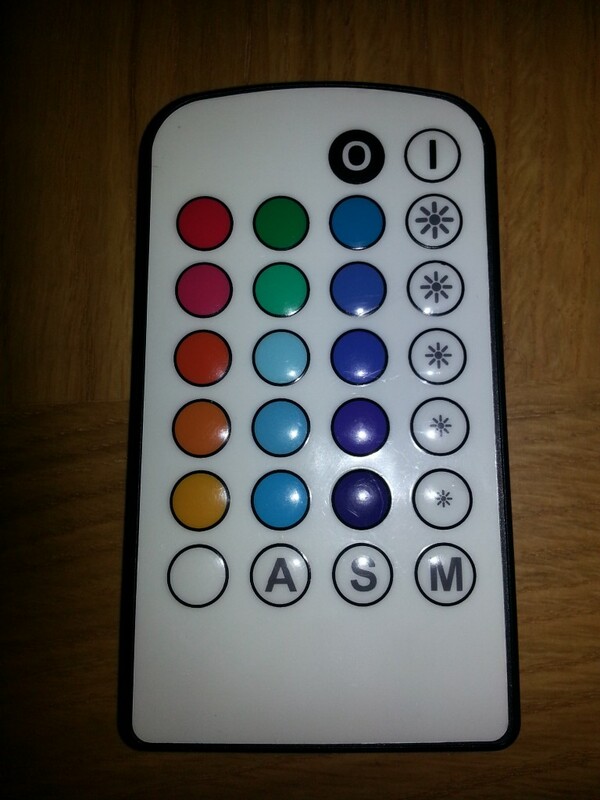 The codes are in the table below, matching the layout of the remote itself. So far i haven’t done anything further with it as i haven’t decided what to do. The easiest way to add control to it is to use the remote codes that we now know and send them with an arduino or similar. 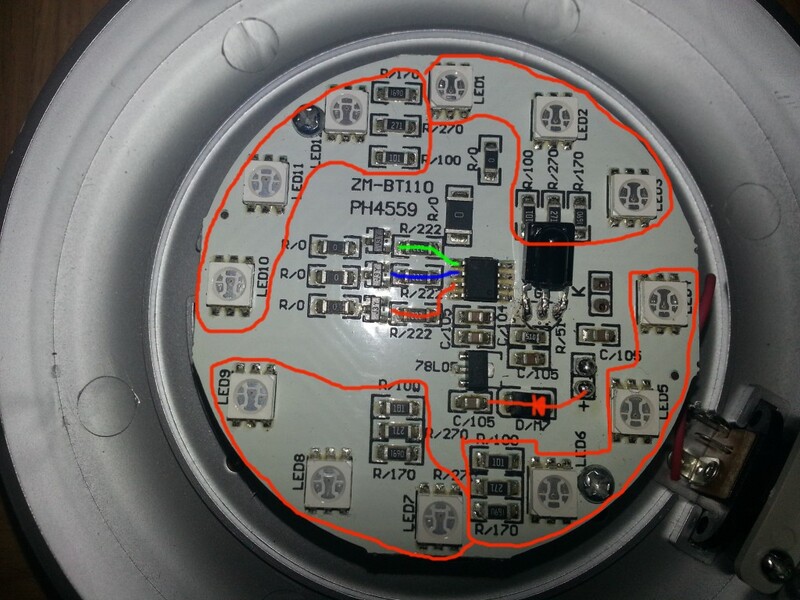 I think what i will probably do is replace the existing IC with an attiny85, the pinout is different but you can solder wires to the pads and put the attiny elsewhere. 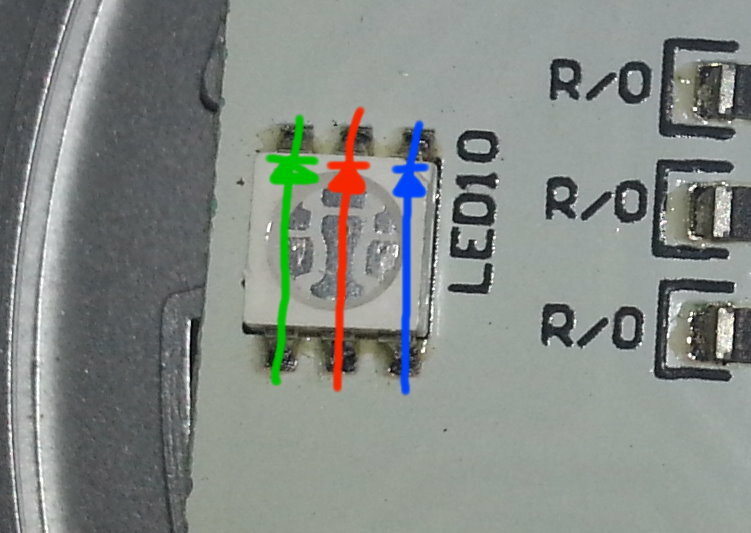 To keep the existing IR remote the arduino library would need modifying to work with the attiny and to match the functions it would be necessary to put an oscilloscope of the output pins and measure the PWN duty cycle to get the same colours. 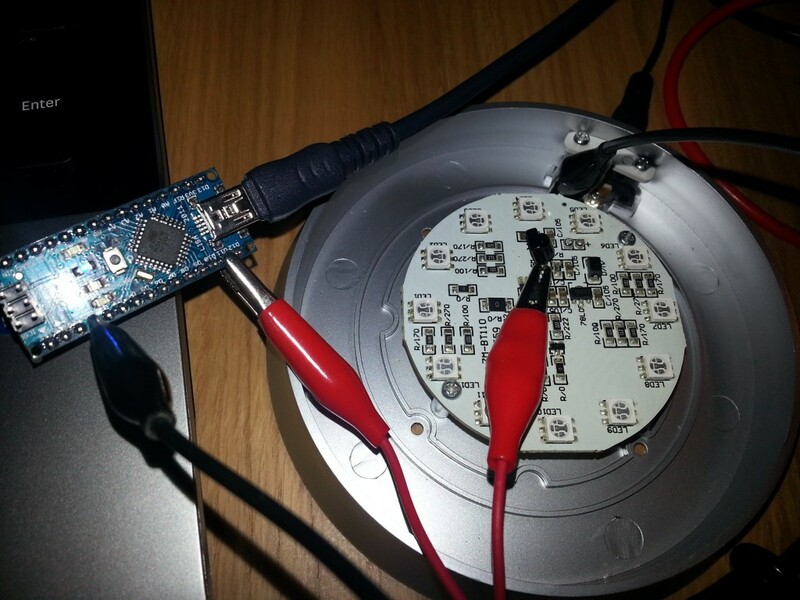 With the unused pin you could add bluetooth and/or USB serial control easily. I’ll post if i ever decide what to do with it!